I am going to swim with the sharks to raise awareness and funds for Shakespeare Behind Bars!! In light of recent events (especially those involving NYC's The Public Theatre ) I realize it is more important than ever to help support arts programming that is making a positive impact in our communities. Shakespeare Behind Bars (SBB) is one of those companies. 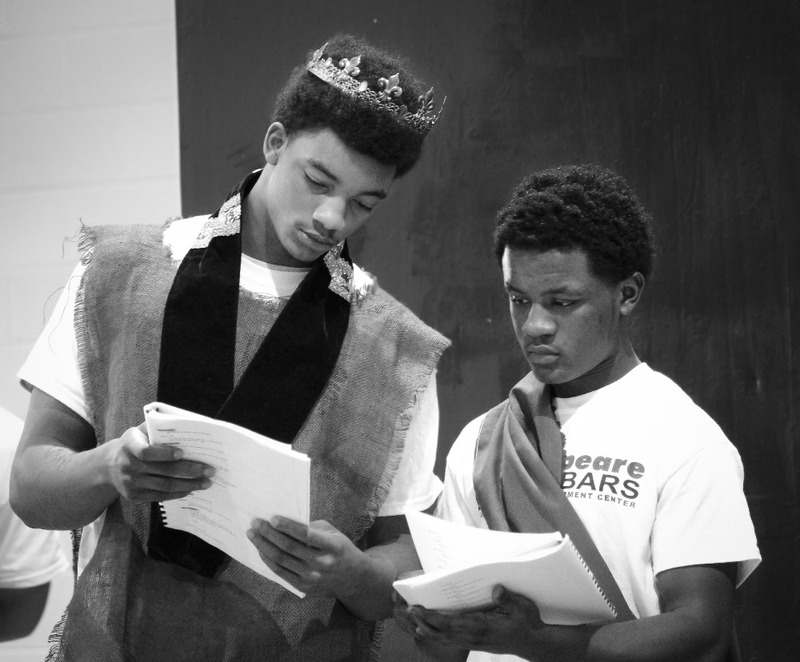 Using exclusively the works of William Shakespeare, Shakespeare Behind Bars offers theatrical encounters with personal and social issues to incarcerated and post-incarcerated adults and juveniles, allowing them to develop life skills that will ensure their successful reintegration into society. YES!! They are one of the good guys! So I am dedicating my 40th year (I will be turning the big 4-0 on June 21st, 2018) to Swimming for Shakespeare. 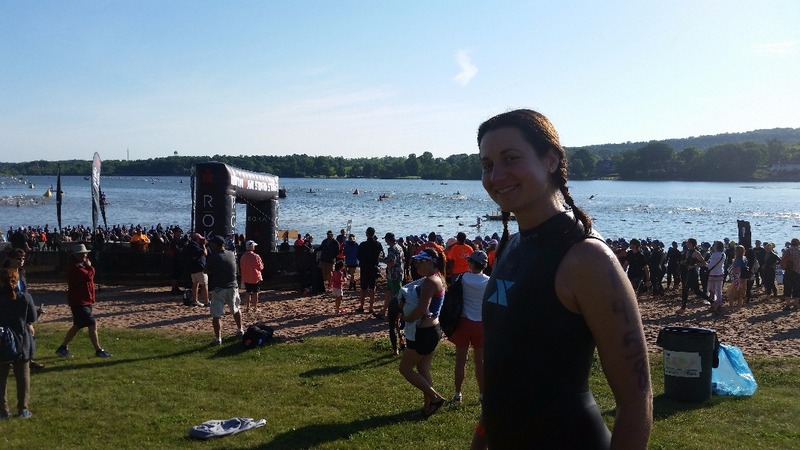 I will be be doing 40+ miles of Open Water Swimming to bring awareness and funding to companies and programs that use Shakespeare to develop life tools with our most at-risk communities. I am literally going to swim with the sharks! That is how much I believe in the power of Shakespeare to change the world. So join me!! Sponsor me in my campaign to raise awareness and funding and help this amazing company continue to do amazing work. SBB serves over 450 incarcerated adults and juveniles a year. It runs 7 programs in 2 Michigan prisons, and 6 programs in 5 Kentucky prisons. It costs $500 a year per prisoner. I am working directly with SBB to help make this campaign a success. EVERY DOLLAR raised over the base cost of each swim event will go directly to Shakepseare Behind Bars and the prison programs. $10,000 for 20 prisoners is only scratching the surface, let's aim high and blow the top off this puppy! Art from SBB membrs Hal Cobb, Michael Malavenda, and Brandon Langley were featured in the BARS TO WALLS: INMATE ART EXPRESSIONS exhibit at the Schneider Hall Galleries/University of Louisville Hite Art Institute. August 19-September 25, 2011. So I say again, JOIN ME!! And help us get one step closer to changing the world. FUN FACT: 57 degrees, strong tides, and sharks...boy do I love Shakespeare! AND FINALLY!! DRUM ROLL PLEASE! 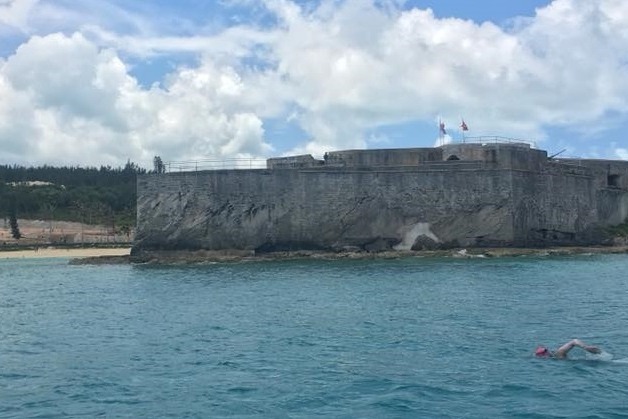 For my 40th birthday on June 21st, 2018 I plan on circumnavigating the Island of Bermuda: 36.5 miles, probably about 40 hours of swimming (definitely sharks). So help me make this epic adventure a huge success!! Sponsor me in spreading the word about Shakespeare Behind Bars and all the communities and lives they change through the words of the Bard. Hi, everyone! I just wanted to thank everyone for all your support, good vibes, and well wishes last week. I was thinking about all of you, and took you all in my heart as I made the epic swim around the island of Bermuda :) On June 20th I became the 2nd woman and 3rd person to circumnavigate that beautiful island. I'm still waiting official ratification from Marathon Swimmers Federation, and I'll keep you posted on that progress. The swim took 31 hours 28 minutes 7 seconds, and was 39.1 miles. My crew was incredible, enduring swells and chop, blistering sun and 9 hours in the dead of night. We all cried as we rounded the final mile. It was truly an emotional experience. The campaign, Swimming for Shakespeare has raised almost $3,500!! Thank you so much for everyone who donated and showed their support. I am deeply touched and grateful! The campaign is still open! Check out the amazing articles from @OwainRG of the @TheRoyalGazette!! Thank you again! Much love! 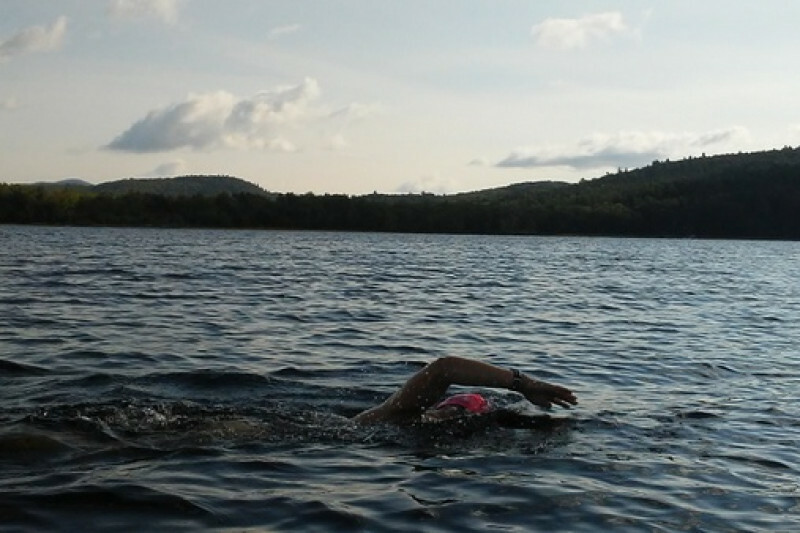 I have gotten a quite a few e-mails from people wanting the details of my swim, so here goes! 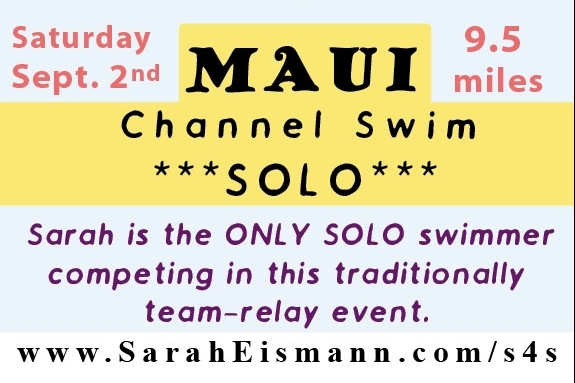 I will be the second woman to swim around the island of Bermuda :) The swim starts this Thursday June 21st. It is 37 miles and will take me roughly 24-30 hours. If you would like to watch the live GPS Tracking of my swim you can! 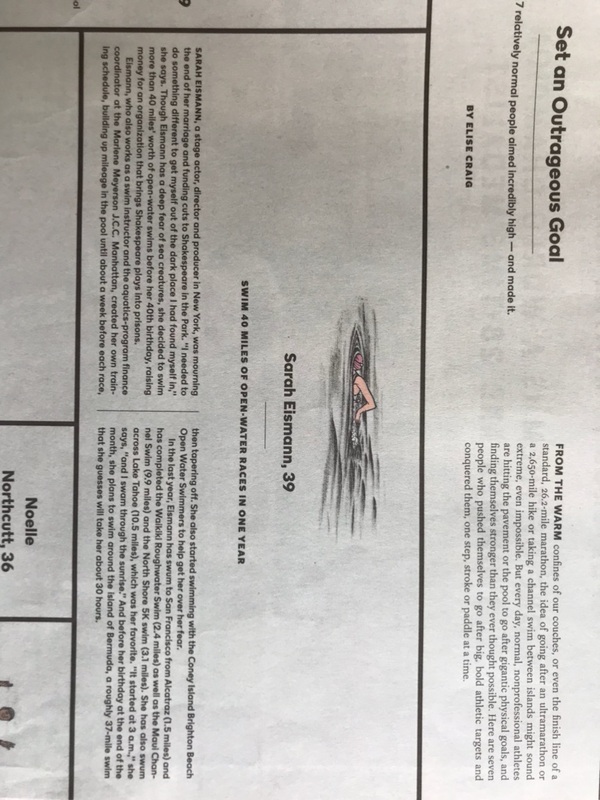 https://track.rs/SarahBermudaCircumnavigation (the link will be live the day before the swim). So much love and appreciation! 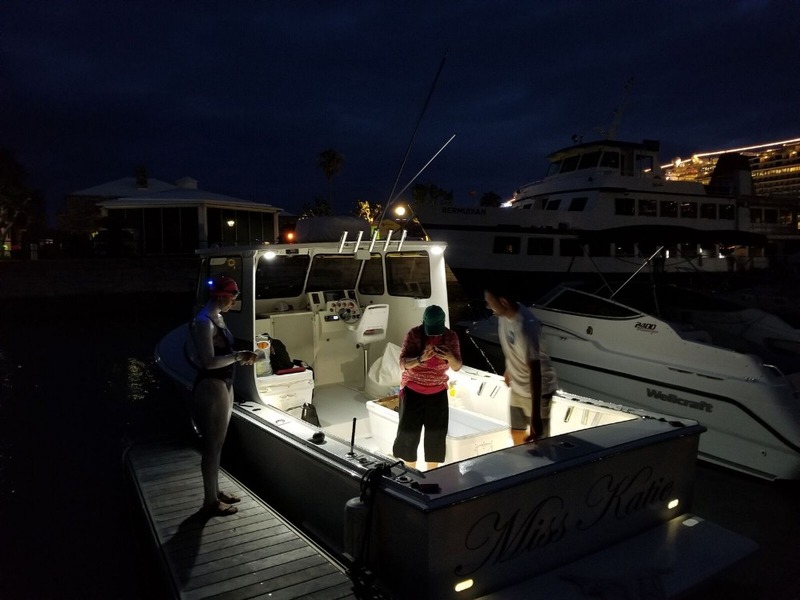 The Miss Katie embarks on 16 hour swim! 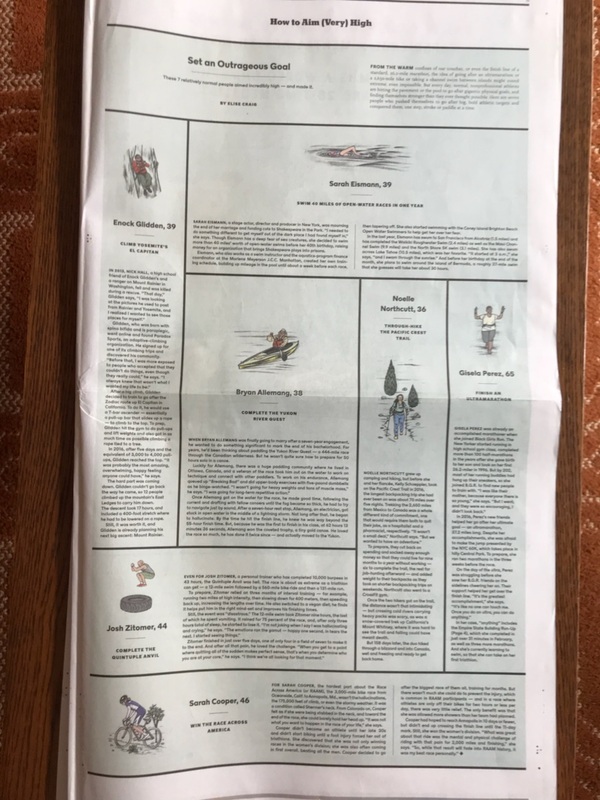 Elise Craig of @NYTimes wrote an amazing article for this past Sunday times "How to Aim (Very) High". I am so honored to be counted among these incredible people. Thank you! On the plane headed to next challenge!